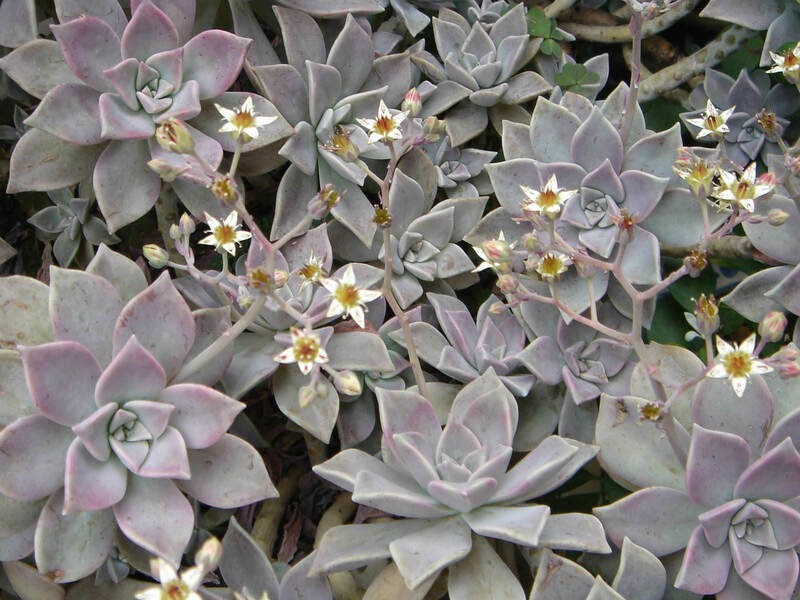 Graptopetalum paraguayense is a colorful, succulent perennial with up to 6 inches (15 cm) wide rosettes, holding thick, triangular, pointed, flat leaves that range in color from pale blue to light purple. 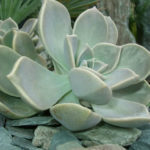 The fleshy rosettes spread on stems creating a low spreading colony up to 1 foot (30 cm) tall. The flowers are 0.8 inch (2 cm) wide and white in color, with small red specks. USDA hardiness zone 7b to 11b: from 5 °F (−15 °C) to 50 °F (+10 °C). 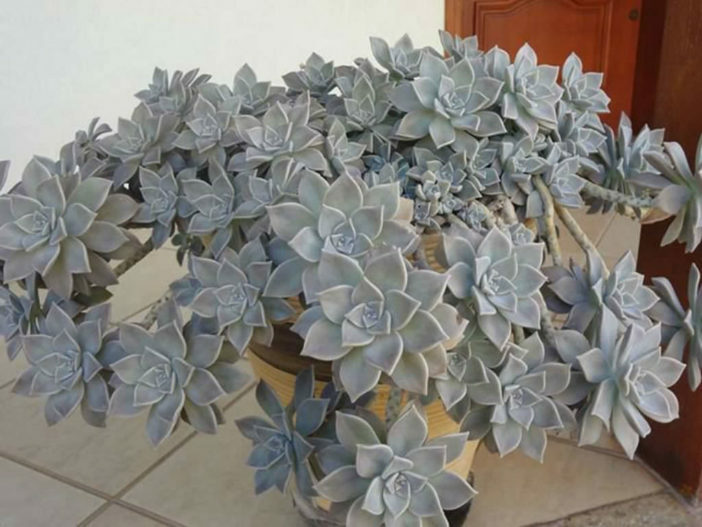 When planting your Ghost Plant in a container, make sure you choose a well-drained potting media and a container with drainage holes. 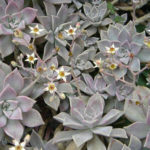 Try mixing Ghost Plant with other forms of succulents for an intersting yet low-maintenance planting. 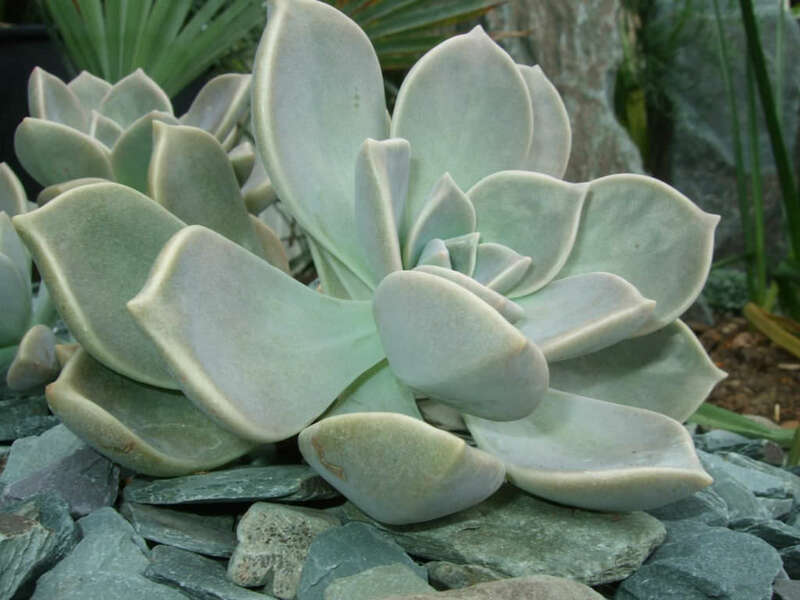 Or you can incorporate your Ghost Plant into a rock garden. You can create a rock garden by piling large rocks like limestone as the base and filling in gaps with smaller stones, gravel, and pockets of soil for planting. 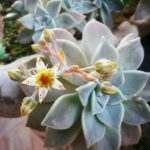 Ghost Plant thrives in sunlight, so choose a location where it will receive full or half-day sun. When grown as a houseplant, keep it near a south, east, or west window. 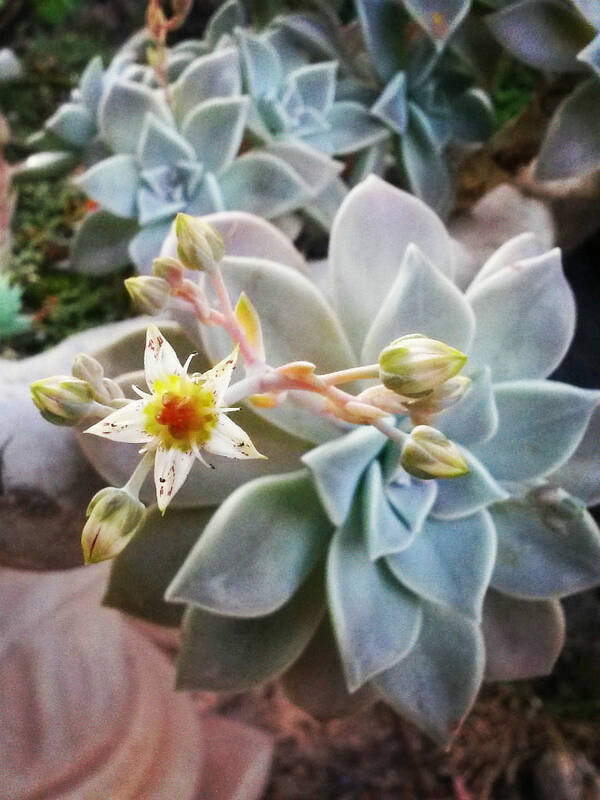 Graptopetalum paraguayense is native to Mexico (Tamaulipas).